A great day at the beach calls for great foodespecially delicious, quick dishes that leave time for fun in the sun. Barbara Scott-Goodman serves up more than 75 recipes for sensational meals for those spending a weekend at the coast or for whom the seaside is home. Recipes for appetizers, soups, sandwiches, main courses, salads, desserts, and cocktails feature farmstand fruits and vegetables, fresh fish and shellfish, and meats for the grill that celebrate summer's bounty. Steamed Mussels in Tomato-Fennel Broth and Chicken & Soba Noodle Salad with Spicy Asian Peanut Sauce make for delightful post-beach fare. Fire up the barbecue for Grilled Swordfish with Mango Salsa andvoil!instant backyard beach party. For dessert, Strawberry-Rhubarb Pie or Brownie Sundaes with Raspberry Sauce are guaranteed to please. 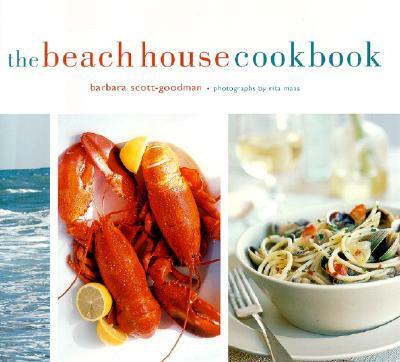 With photos that capture the beauty of both the coast and the cuisine, The Beach House Cookbook offers all the right ingredients for fabulous diningwith an ocean view. Barbara Scott-Goodman is an author, art director, and designer of many cookbooks including The Garden Entertaining Cookbook (0-8118-2956-1). She lives with her family in Granite Springs, New York. Rita Maas is a New York City based photographer specializing in food and still life. Her work has appeared in Gourmet, Parents, and Health magazines.